The 3rd Irish Rare Breeds Conference takes place on the 16th – 18th May 2019 – at the GN Mulranny Park Hotel, Mulranny, Co. Mayo. at the GN Mulranny Park Hotel, Mulranny, Co. Mayo. The 3rd Irish Rare Breeds Conference will take place on the 16th to 18th of May 2019 in the GN Mulranny Park Hotel, Mulranny, Co. Mayo. 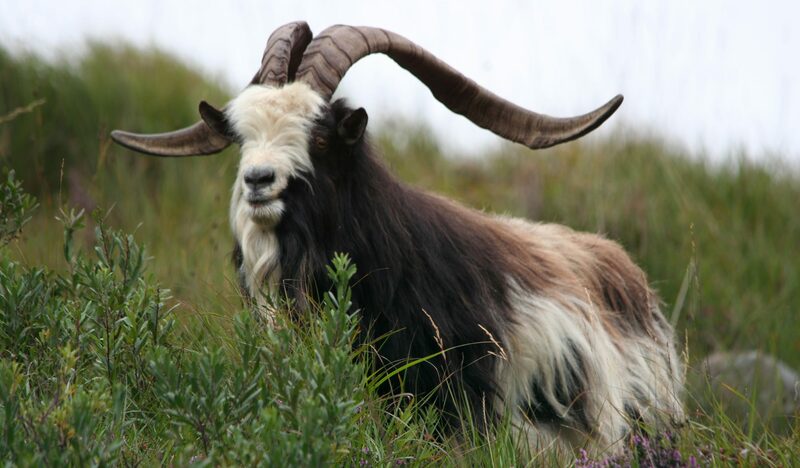 The Conference is being organised by The Old Irish Goat Society, based in Mulranny in association with the Irish Rare Breeds Society. Ireland’s rare breeds are a fundamental part of our farming and food production sector, they are living heritage and an important facet of our biodiversity. Rare Breeds have an important role in sustaining rural communities, through food production, artisan foods, tourism and conservation grazing. Gene variation offers enhanced resistance and adaptation traits in a time of farming intensification and climate and social change. A number of Irish Breeds have slipped into extinction in recent decades, essentially unnoticed and undocumented, such as the Cladoir Sheep and the Tory Cow. The aim of the event is to promote the conservation and utilisation of our remaining rare breeds and to address challenges such as lack of protection, resources and recognition. A strategically important national discussion will take place on indigenous Irish breeds and how their role as a cultural, food security and climate resilience resource could be developed. This initiative is funded by the Department of Agriculture, Food and the Marine.